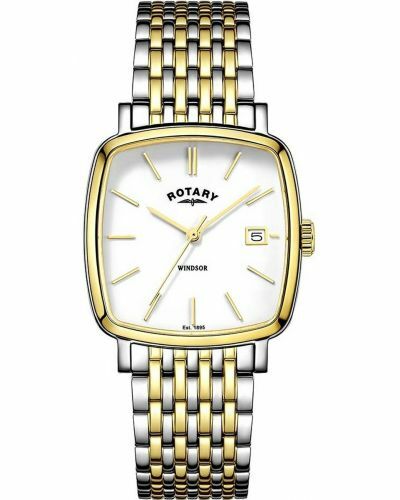 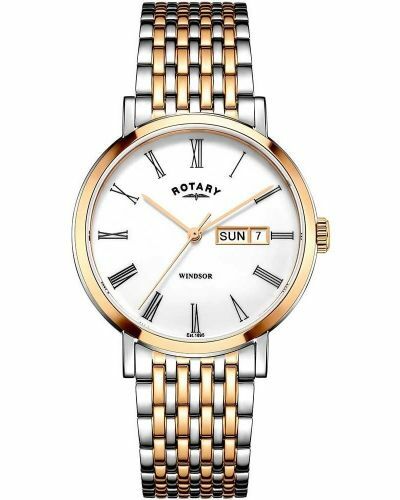 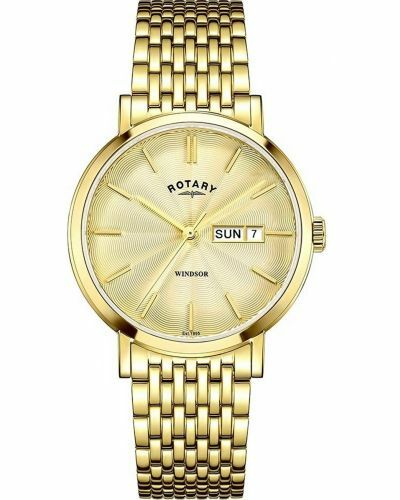 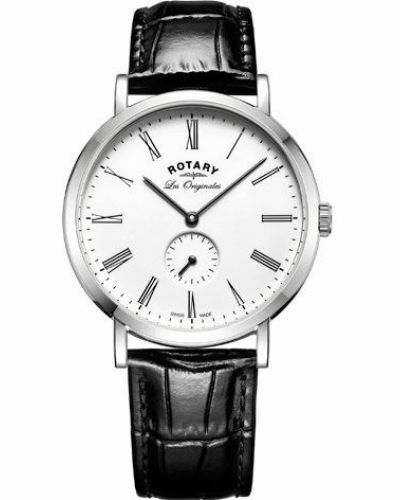 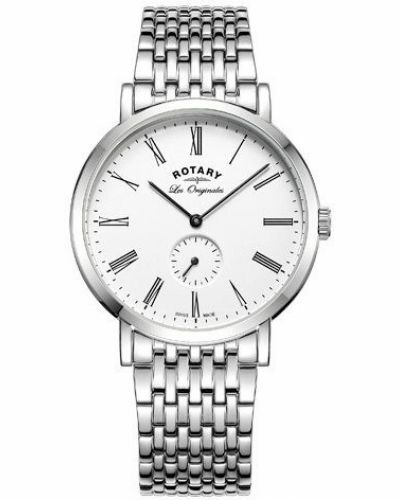 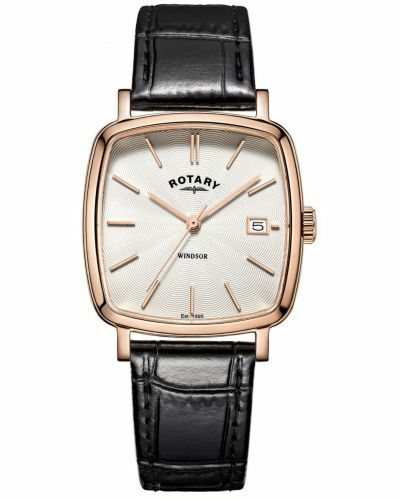 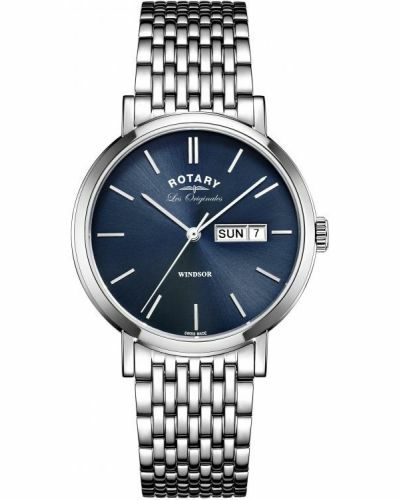 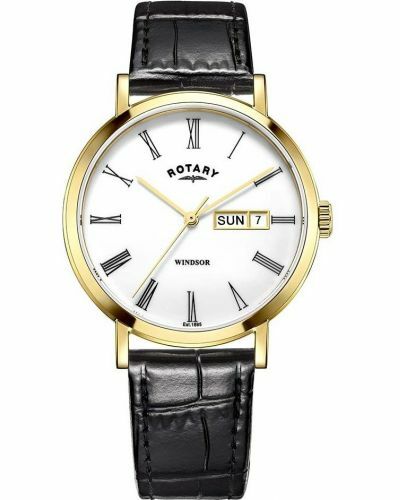 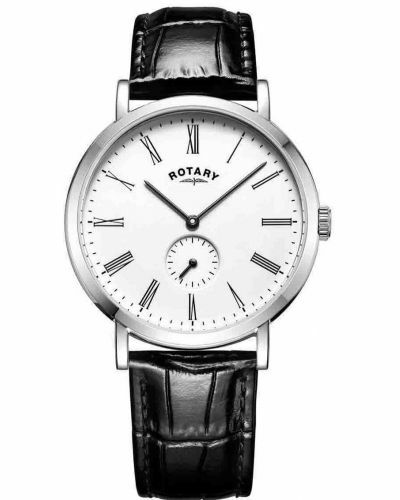 This classic mens dress watch from Rotary's Windsor range is Swiss Made, offers sapphire crystal glass and a water resistance of 70 metres. 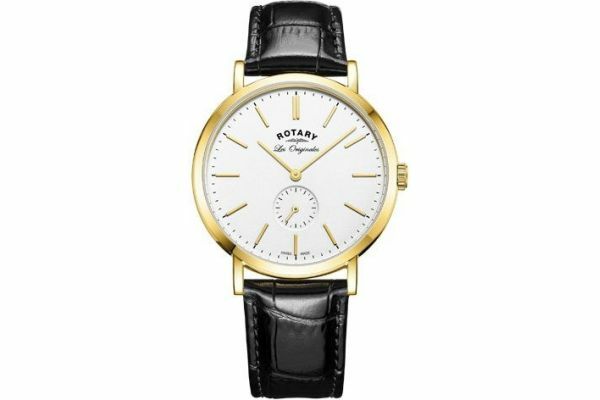 The crisp white dial with sub dial for the second hand is easy to read and is framed by a yellow gold plated case and black leather strap. 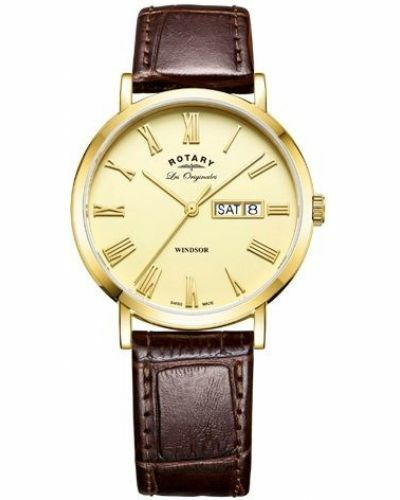 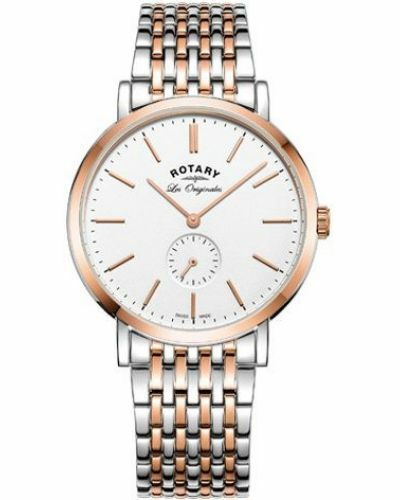 This watch is battery powered and comes with a 3 year guarantee with optional lifetime cover. 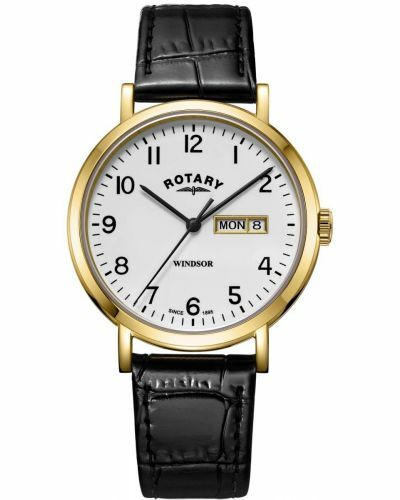 For us to size your new Rotary Windsor watch as accurately as possible, please take a look at our downloadable Watch Sizing Guide.